Take your fantasy football, baseball, hockey or basketball draft party into PrimeTime! Are you still using an old-fashioned paper draft board at your fantasy sports draft parties? 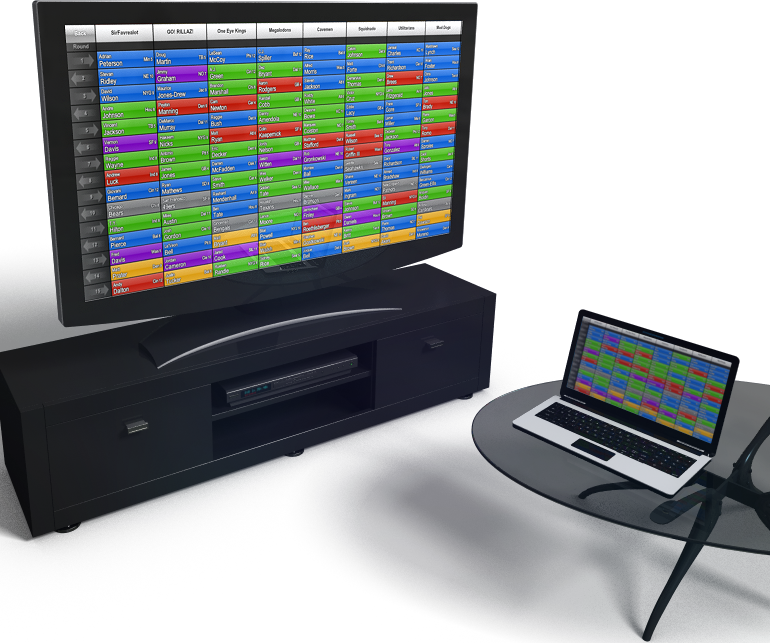 Step up to PrimeTime Draft™ digital draft board software. It's easy to use, visually stunning, flexible, reusable, and specifically designed for HD TVs and projectors. PrimeTime Draft supports fantasy football, fantasy baseball, fantasy hockey and fantasy basketball drafts all within the same application on a single license! See how easy it is to turn your draft party into the ultimate PrimeTime experience! Enter our weekly Giveaway for a chance to win a free license.